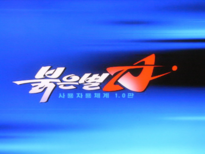 Red Star OS (Chosŏn'gŭl: 붉은별; MR: Pulgŭnbyŏl) is a North Korean Linux distribution, with development first starting in 1998 at the Korea Computer Center (KCC). Prior to its release, computers in North Korea typically used Red Hat Linux and Windows XP. Version 3.0 was released in the summer of 2013, but as of 2014[update], version 1.0 continues to be more widely used. It is offered only in a Korean language edition, localized with North Korean terminology and spelling. Red Star OS features a modified Mozilla Firefox browser called Naenara, which is used for browsing the Naenara web portal on the North Korean internet network known as Kwangmyong. The word Naenara means "My country" in Korean. Naenara comes with two search engines. Other software includes a text editor, an office suite, an e-mail client, audio and video players, and video games. Version 3, like its predecessors, runs Wine, a piece of software that allows Windows programs to be run under Linux. Red Star OS 3.0, unlike its predecessors, uses a KDE 4 desktop. However, version 3.0 closely resembles Apple's macOS, whereas previous versions more closely resembled Windows XP and macOS; current North Korean leader Kim Jong-un was seen with an iMac on his desk in a 2013 photo, indicating a possible connection to the redesign. The installation DVD is available in North Korea for 25 US-cents. The Japan-based North Korea-affiliated newspaper Choson Sinbo interviewed two Red Star OS programmers in June 2006. In February 2010, a Russian international student at the Kim Il-sung University in Pyongyang purchased a copy and posted about it on his LiveJournal account; Russian television station RT picked up his LiveJournal post and translated it into English. English-language technology blogs, including Engadget and Osnews, as well as South Korean wire services such as Yonhap, went on to repost the content. In late 2013, Will Scott, who was visiting the Pyongyang University of Science and Technology, purchased a copy of version 3 from a KCC retailer in southern Pyongyang, and uploaded screenshots to the internet. In 2015, two German researchers speaking at the Chaos Communication Congress described the internal operation of the OS. The North Korean government wants to track the underground market of USB flash drives used to exchange foreign films, music and writing, so the system watermarks all files on portable media attached to computers. The first version appeared in 2008. It is very reminiscent of the Windows XP operating system. It featured the "Naenara" web browser, based on Mozilla Firefox, and an Office suite based on Open Office, called "Uri 2.0". Wine is also included. So far, no copies have leaked online. 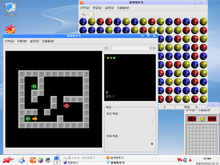 The screenshots of the operating system were officially published by KCNA and discovered by South Korean news sites. The development of version 2.0 began in March 2008, and was completed on June 3, 2009. Like its predecessor, it is based on the appearance of Windows XP, and was priced at 2000 North Korean won (approx. US$15). The "Naenara" internet browser is also included in this version. The browser was released on August 6, 2009, as part of the operating system, and was priced at 4000 North Korean won (approx. US$28). The operating system uses a special keyboard layout that differs greatly from the South Korean standard layout. Version 3.0 was introduced on April 15, 2012, and looks most reminiscent of MacOS systems. The new version supports both IPv4 and IPv6 addresses. The operating system comes pre-installed with a number of applications that monitor its users--if a user tries to disable security functions, the operating system often restarts in continuous loops or destroys itself. In addition, a watermarking tool integrated into the system marks all media content with the hard drive's serial number. This makes it possible for the North Korean authorities to trace the spread of files. The system also has a hidden "anti-virus" software that is capable of removing censored files that are remotely stored by the North Korean secret service. There is a user group called "administrator" in the operating system. Users, however, can't gain full system access, even if they're administrators, as commands such as sudo and su are not available. Very little information is known regarding version 4.0. As of late 2017 it is known that a Red Star 4.0 exists and is being field tested. A server variation of version 4.0 appears to be currently used on the website of North Korea's national airline Air Koryo and The Pyongyang Times according to the HTTP server header. According to "The Pyongyang Times", an official version of Red Star OS 4.0 has been developed as of January 2019, with full network support as well as system and service management tools. In 2016, the security company Hackerhouse found a security vulnerability in the integrated web browser Naenara. This vulnerability makes it possible to execute commands on the computer if the user clicks on a correspondingly prepared link. This is probably due to a problem when processing URLs that perform functions such as Mailto or calendar without the parameters to clean up unwanted code fragments. ^ "Red Star OS". ArchiveOS. Retrieved 2017-08-31. ^ "Inside North Korea's Totalitarian Operating System". Motherboard. Retrieved 2017-08-31. ^ "North Korea's 'paranoid' computer operating system revealed". The Guardian. 27 December 2015. Retrieved 4 May 2018. ^ a b Williams, Martyn (January 31, 2014). "North Korea's Red Star OS Goes Mac". North Korea Tech. Martyn Williams. Retrieved July 23, 2014. ^ "Apple's Mac OSX imitated in latest North Korea system". BBC News. 2014-02-05. Retrieved 2017-08-31. ^ "North Korean computers get 'Apple' makeover". Telegraph.co.uk. Retrieved 2017-08-31. ^ "Apple's Mac OS X imitated in latest North Korea system". BBC News. 2014-02-05. ^ "North Korean computers get 'Apple' makeover". The Daily Telegraph. Retrieved 6 February 2014. ^ a b Florian Grunow; Niklaus Schiess (2015-12-28). Lifting the Fog on Red Star OS - A deep dive into the surveillance features of North Korea's operating system. Chaos Communication Congress 32. ^ Jeremy Wagstaff and James Pearson (27 December 2015). "Paranoid: North Korea's computer operating system mirrors its political one". Reuters. ^ James Pearson (27 March 2015). "The $50 device that symbolizes a shift in North Korea". Reuters. ^ "RedStar OS Watermarking". Insinuator. ^ "A Visual Guide To North Korea's Totalitarian Operating System". Fast Company. 2014-09-23. Retrieved 2017-08-31. ^ "North Korea's Red Star OS takes the 'open' out of 'open source'". Engadget. Retrieved 2017-08-31. ^ Kim Tong-hyung (5 April 2010). "NK Goes for Linux-Based Operating System". Korea Times. ^ Williams, Martyn (2014-12-30). "Red Star 3.0 Desktop finally becomes public". North Korea Tech - 노스코리아테크. Retrieved 2017-08-31. ^ "Electronic Weapons: Two Lines, No Waiting". Retrieved 2017-12-27. ^ "Air Koryo". Retrieved 2018-11-18. ^ "The Pyongyang Times". Retrieved 2018-12-27. ^ "The Pyongyang Times" (PDF). ^ "RedStar OS 3.0: Remote Arbitrary Command Injection". Hacker House. Retrieved 2017-08-31. ^ Wei, Wang. "North Korea's Linux-based Red Star OS can be Hacked Remotely with just a Link". The Hacker News. Retrieved 2017-08-31. Wikimedia Commons has media related to Red Star OS. "OS "Red Star" - линуксоиды всех стран, соединяйтесь!" (in Russian). 2010-02-27. Archived from the original on 2011-07-26. "North Korean Red Star operating system details emerge". BBC News. 2010-04-06. 北 컴퓨터운영체제 붉은별 첫 분석 (in Korean). redstar-tools: A tool used for analyzing the system. This page was last edited on 7 March 2019, at 15:44 (UTC).